In 1913, Adolphe Pegoud became the first pilot to be fly an aircraft in sustained inverted flight. The aircraft was built by Louis Bleriot. The aircraft, a monoplane XI had a wing span was 25 ft. 7 in. ; length 26 ft. 3 in. ; its takeoff weight was 663 lbs. with a 25 hp engine. The engine was a Anzani three-cylinder air-cooled fan-type. 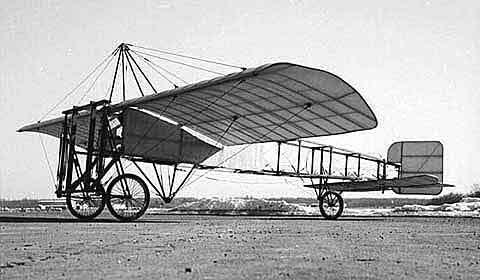 Bleriot’s monoplanes incorporated many innovations including the monoplane wing, tractor engine, rear rudder, horizontal stabilizer and swiveling landing gear to permit crosswind takeoffs. In 1909 Bleriot, in a Type XI, became the first to fly across the English Channel.